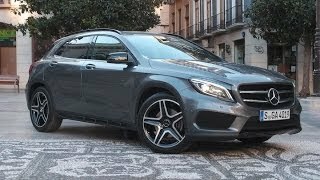 Mercedes-Benz has announced the new 2015 Mercedes Benz GLA-Class, a new compact SUV ahead of its official debut at the Frankfurt Motor Show in September. 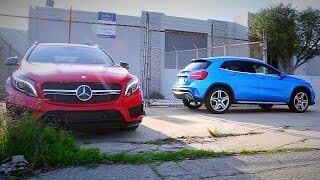 The GLA impresses mainly with its progressive character and agile handling. On the exterior the new GLA Class features a twin-louvre grille which accentuates the vehicle’s width, raised body, a rear spoiler, low greenhouse, large wheel arches, front bumper featuring diamond-pattern grilles, optional fog lamps and it rides on 18-inch wheels with 19-inch tyres available on request. It has a generous luggage compartment (421 - 836 litres) which is well-presented and can be loaded without difficulty thanks to the low loading sill and the wide tailgate, which opens automatically as an option. The interior comes with high perceived quality achieved by the contours, choice and combinations of high-grade materials. Many different interior colors are available, as well as a choice between MB-Tex and leather upholstery, and optional sport seats. The central infotainment display unit also doubles as an off-road display, with steering angle, transmission mode, compass, roll angle, and gradient information all in one spot. 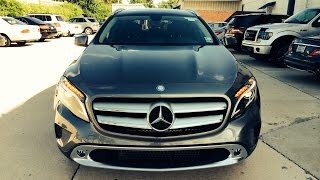 The 2015 Mercedes GLA Class is powered by the 2.0-liter turbocharged four-cylinder engine, making 208 horsepower and 258 lb-ft of torque. 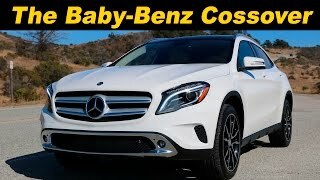 A seven-speed dual-clutch automated gearbox provides the shifting, while a next-generation permanent all-wheel drive system, badged 4Matic, will deliver torque to all four wheels in fully variable fashion. 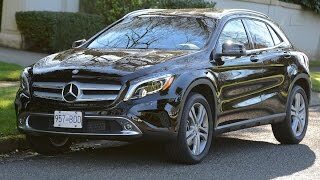 The GLA 250 4MATIC sprints from zero to 100 km/h in only 6.5 seconds. It has a top speed of 235 km/h and a combined consumption figure of just 7.1 l/100 km (151 g CO2/km - provisional figures).